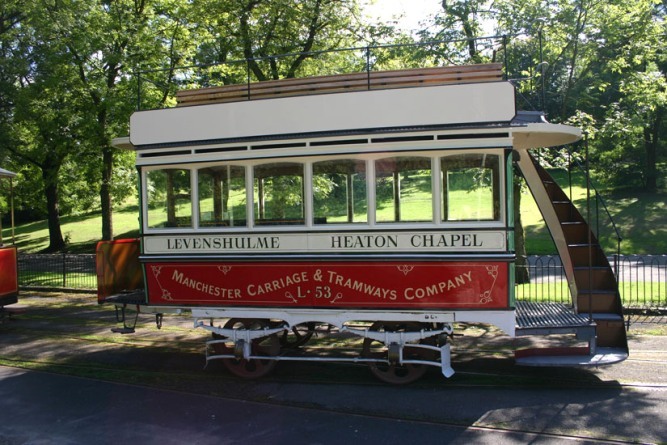 Returning to service in 2008, L53 is the surviving member of Manchester’s horse tram fleet. 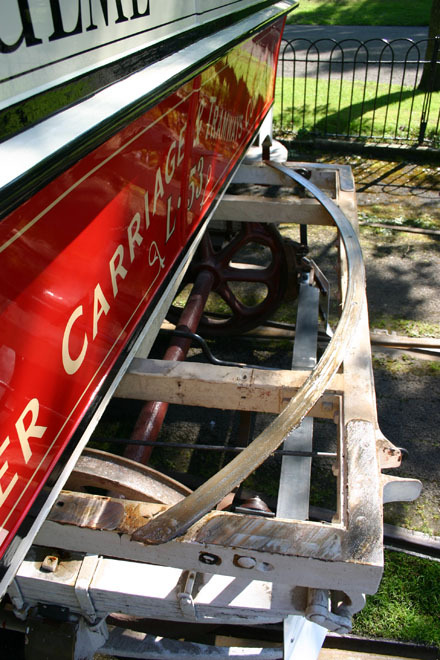 Built in the 1880s, L53 features the Eades Patent reversible truck. 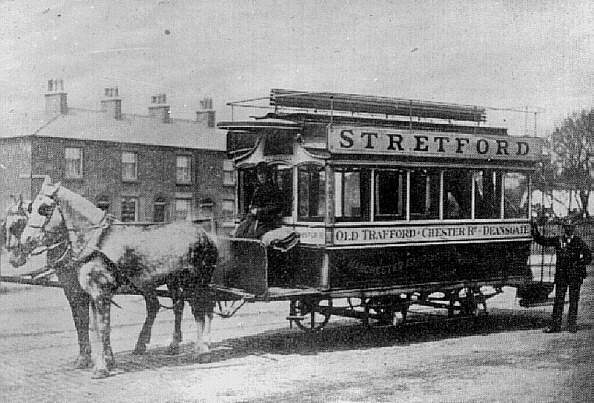 Most horse trams were double-ended, requiring the horse to be uncoupled upon reaching the terminus. John Eades’ design involved a body that could be rotated on it’s truck, thus saving time. 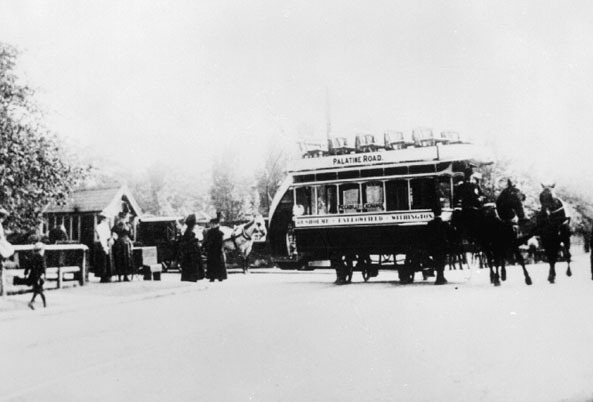 The tram also only required one staircase, unlike other double deck trams. This increased seating capacity and reduced the weight. The remains of L53 were discovered in 1970 near Glossop, Derbyshire. 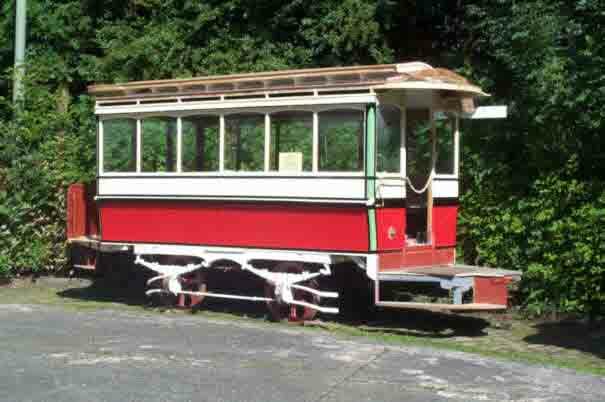 Unlike most tram bodies finding use as shed and greenhouses, L53 was still on it wheels. It’s restoration first began as part of an A-level wordwork project by an MTMS member. 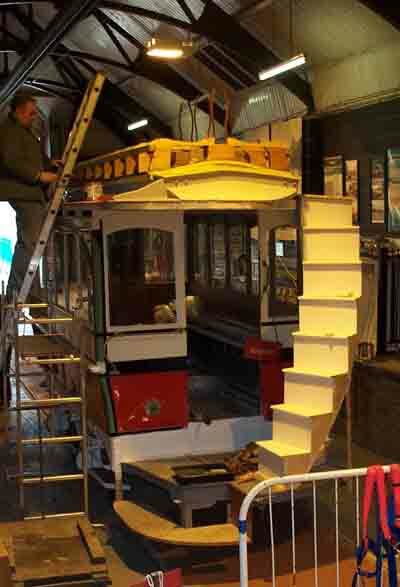 Restoration continued in several locations, before L53 arrived at Heaton Park in June 1998. Work has continued over the last 10 years, bringing a unique vehicle back to working order. can clearly be seen along with the brake rigging. 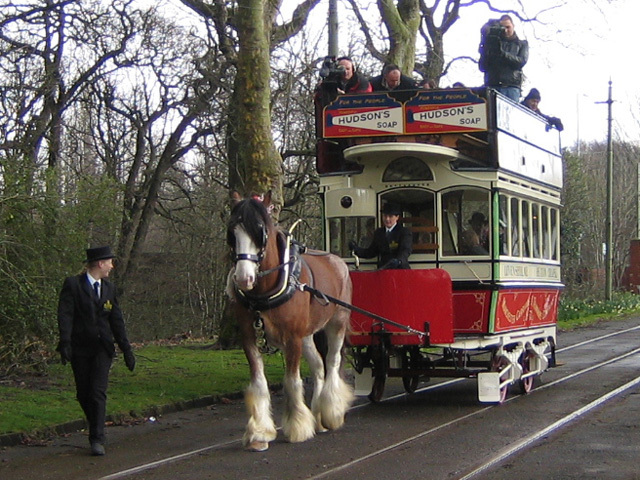 The resoration of L53 was celebrated in 2008 with a commemorative event in Heaton Park. Since that time, L53 has operated with both one and two horses. 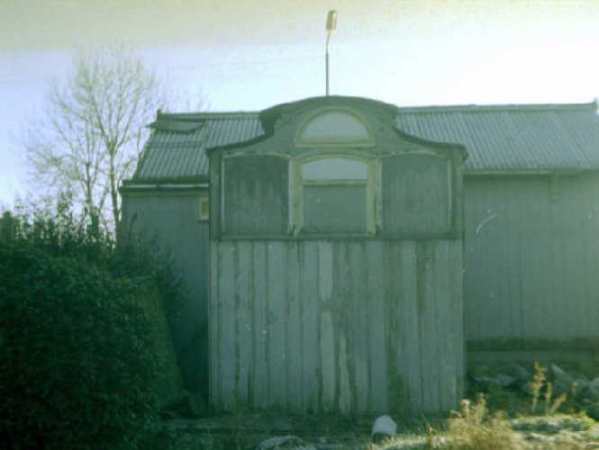 In May 2009 it operated at Beamish open Air Museum. 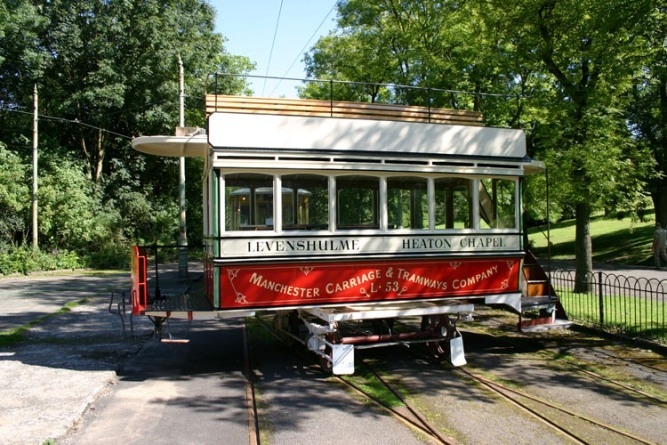 Also in 2009, L53 was named “Best Tram” in the HRA awards. 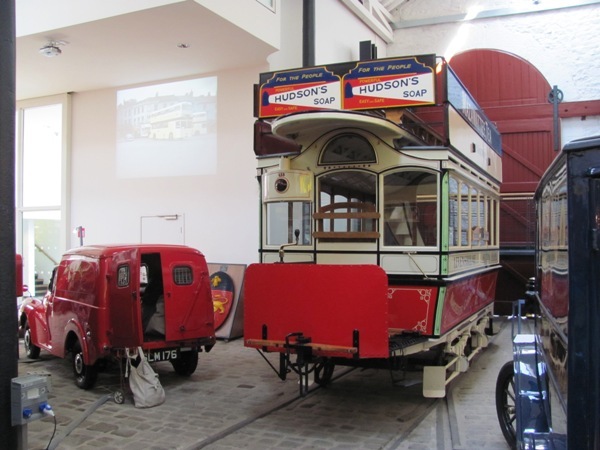 In May 2010, L53 went on loan to Bury Transport Museum, where it currently resides. 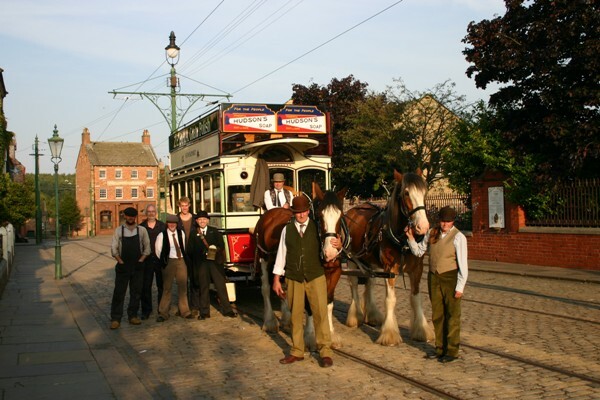 In September 2010, L53 once again visited Beamish, before returning to Bury.